Wool Tops :: Tops Merino Multicolor :: Rio Blend 22mic tops, 50gr. 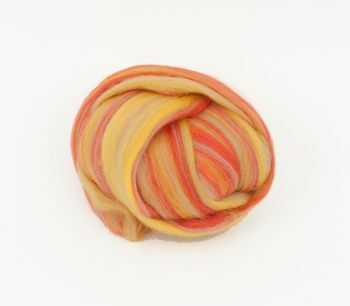 Home/Wool Tops/Tops Merino Multicolor/Rio Blend 22mic tops, 50gr. Multicolored blend from fine australian merino wool, 22 mic. Very nice blends of colors. Just as pictured. Beautiful work dying, the colors are so vibrant!